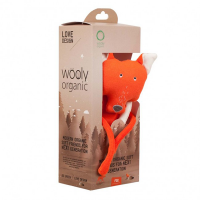 Wooly Organic's Funky Feet Wolf is a special friend to hold and cuddle during the day and keep your little one safe and sound at night. 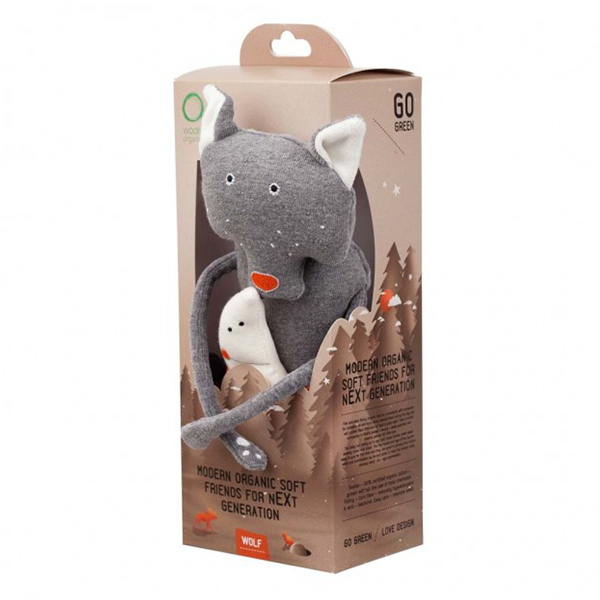 Wolf comes with Moon, sleep guardian and dream catcher, who lives in Wolf’s pocket. 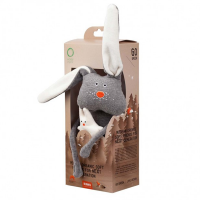 Together they will help your precious one quickly and easily drift off to the magical land of nod each night. 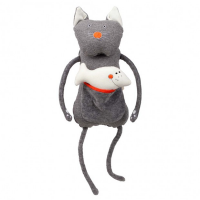 Wolf’s arms and legs are easy for little hands to hold and tie and untie, aiding fine motor skill development and hand-to-eye co-ordination. 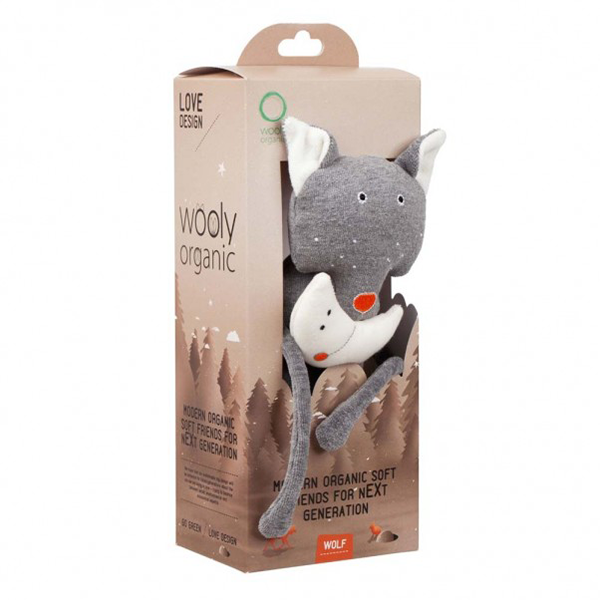 With embroidered features and made from 100% organic cotton, there are no small parts to worry about and only natural and gentle fabrics close to baby’s skin. Comes in an attractive cardboard gift box. Approximately 22cm sitting / Box: 9 x 9 x 17cm. Recommended age from 6 months. Filling: 100% Corn Fibre - naturally hypoallergenic & anti-bacterial.